Calle Ponzano is a narrow and unassuming street so famous for its fantastic restaurants that it has a gerund – PONZANING! 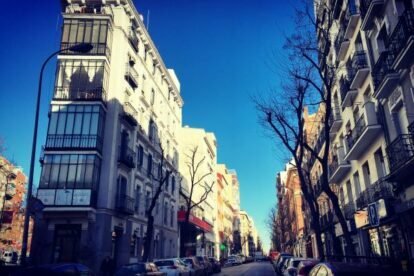 Do like the Madrileños do and go Ponzaning in this exciting gastro mecca, which covers 8 blocks, starting at Calle Santa Engracia and ending at Calle Raimundo Fernández Villaverde. There is also some overspill into tributary streets, notably Calles Bretón de los Herreros and Espronceda. This street merits a little research before you hit it, but here are a few of my fav spots! Finally, if you want to blow the budget, go try a 75 euro tasting menu at El Invernadero (Ponzano, 85.) Michelin starred Chef Rodrigo de la Calle builds dishes around seasonal vegetables and they look so exciting!